In today’s world of texting, emailing, FaceTiming, and emojis it seems as though teaching handwriting to our little ones is fading. On top of that, it’s just ONE more thing that we have to SQUEEZE into our day. But you guys, it’s so important. 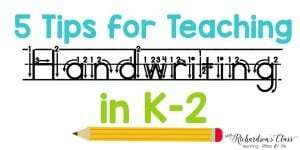 We teach proper handwriting early on so that later students are able to be fluid writers who have legible writing. Otherwise it can interfere with the entire writing process. We teach proper handwriting because it’s part of having a solid literacy foundation. 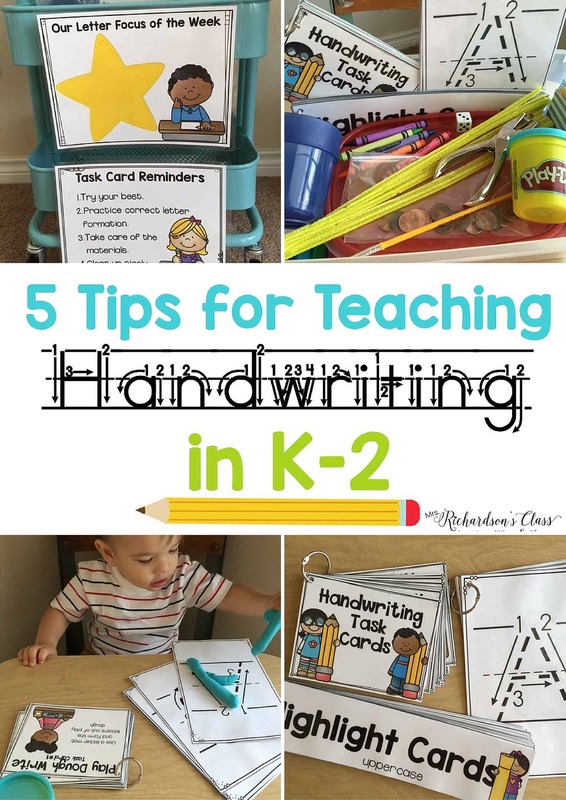 I wanted to share 5 tips to keep in mind when teaching handwriting. 1. Instruction should be explicit and direct. I think this is what we don’t take the time for (and I am guilty of this!!). If there is not a set apart time for you to teach proper letter formation, the little ones will just do what they feel like is natural. I giggle just thinking about some of the silly formation they come to me with at the beginning of kindergarten! It wasn’t until I began to set aside time to teach letter formation directly and explicitly that I started to see improvement in their handwriting. How silly of me to think they would just “watch and get it” without me ever “telling and showing”! 2. 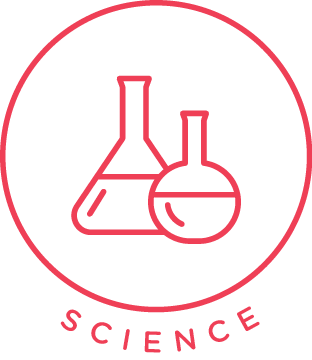 There should be a systematic approach to your teaching. Have a plan and routine and stick to it. Not only do the student thrive on routine, but they know what to expect and what will be expected of them. Here is what my time would look like in our classroom. 3. 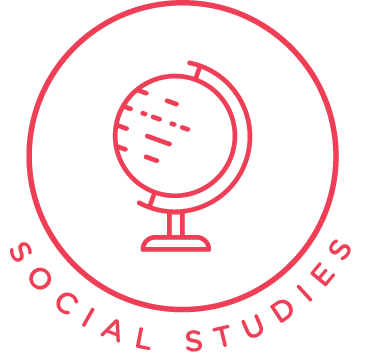 Provide various opportunities for independent practice. Yes, pencil and paper is important, but so are other opportunities for practice. 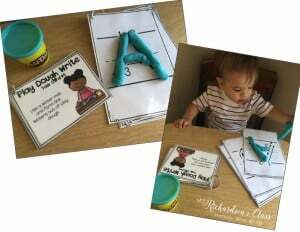 Have your students practice proper letter formation during sight word work. Have them write the letters in the sky as they practice spelling their spelling words. 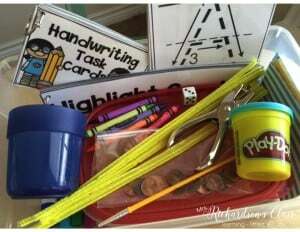 Create a Handwriting Work Station for students to practice independently beyond pencil and paper. Integrate it throughout your day as much as possible, especially if you don’t have a huge chunk of time to devote to it. Here is an example of my Handwriting Work Station. Everything the students need to complete the tasks on each card are in the tub. One sweet friend even suggested that students complete a pencil and paper task and then choose 2 or 3 task cards to complete while at the station. 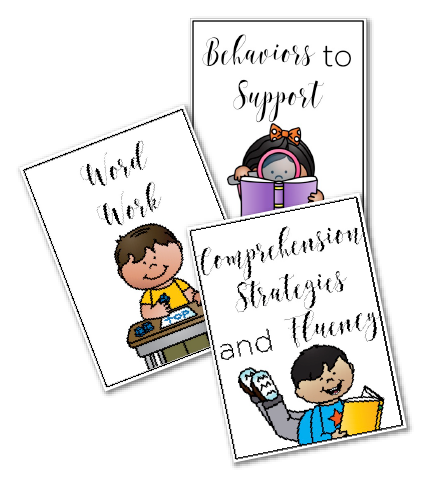 Find these activities HERE in my TeachersPayTeachers Store. 4. Make your expectation known. 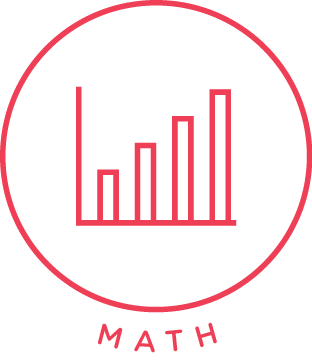 “In this class we do our best, use neat handwriting, and practice all of the time.” Let your students know that you don’t just expect great handwriting during handwriting time or writer’s workshop, but when they write their name during math or when they write sight words during a word work station. If your students will know that you expect quality work, they will be more likely to produce quality work. 5. Give them a purpose. 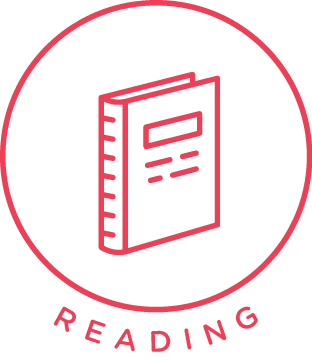 Remind your students that we practice proper handwriting so that readers can read our work. We practice so that we can become fluid writers, too. Encourage them as they work hard and help them be proud of their ability to focus and pay special attention to detail! It’s not easy and you want them to know their hard work has a strong purpose in life! 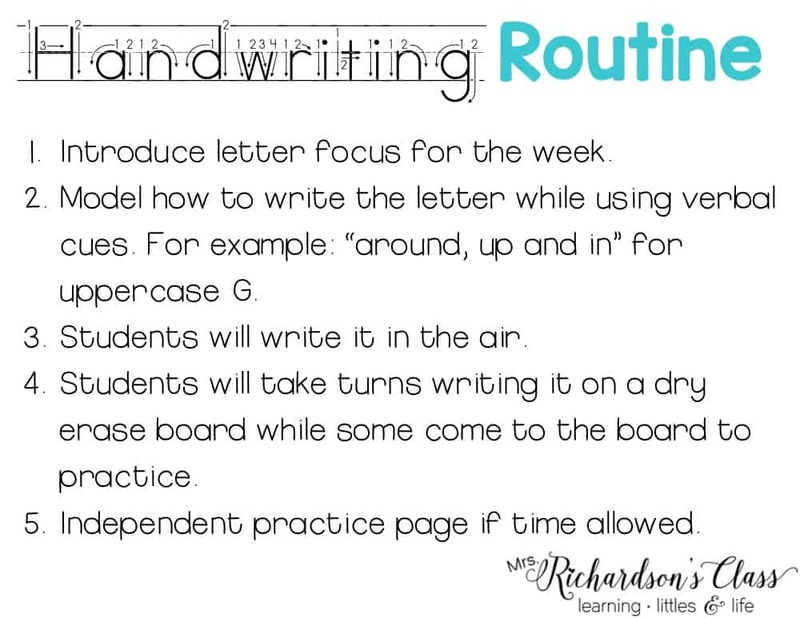 What things do you do in your classroom to promote great handwriting? I would love to hear your tips and tricks! I also had them write each other’s names. They loved that! What a fabulous idea!! That’s too cute and I’m sure it stuck with the students SO WELL! I think names and animals are very effective ways to help with spelling. It’s such an overlooked concept now with talk to text apps and Siri. People are less reliant on handwriting than ever but it’s such a needed tool to have. Good read, thanks! Great comments on your website. My school district does have a writing curriculum. We send the correct letter formations home so that the parents are hopefully reinforcing what we teach at school. Classroom expectations does make a difference. I do the same as you with expecting quality work and neat handwriting on everything. By mid-year, I send a few of my students each week or every few days to the first grade classroom to show their “first grade neatness” and brag how my kindergartners are already writing like first graders. This encourages other in my room to pick up on doing their best so they can share their work with the first grade teacher & class. 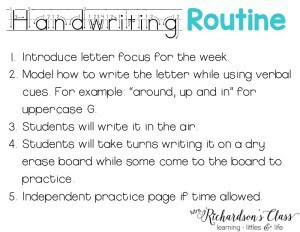 I love the list showing what is being done each day when it comes to handwriting. As a future teacher, I LOVE LISTS!! I also like when teachers allow the students the opportunity to know what is going to happen in that day so they can begin to mentally prepare for the day. I love this article and plan to use the tips listed in my future kindergarten classroom! !